The setup of a PC for Remote Assistance becomes alsmost as important as a good backup policy. Although granting access to your system may create security threats, temporary connections can be made without too many compromises. Check here if your VNC Server is running and can be accessed from the Internet. 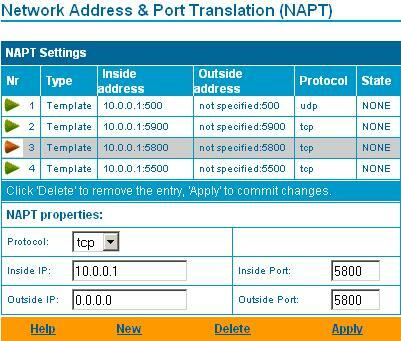 Check also my post on port forwarding with VNC. For easy retrieval over the Internet, assign a DNS name to your PC. No-IP offers a free dynamic DNS support. Categories: support. Tags: remote assistance. To offer remote support you may use the Remote Assistance built in with XP and Vista. In this example an XP PC requested the assistance from a Vista PC. First, make sure remote assistance is enabled: check the configuration settings and system properties. Start the ‘Remote Assistance’ programme (Hulp op Afstand). Select ‘Invite someone to help’ (Iemand uitnodigen om te helpen). This action will send a file (by email) to the person and the pc that will access your pc remotely. You will need to give the email address of the person that will logon to your pc and define a temporary password (only for one session). Once the person has received the file with the credentials, he/she can open the file and will be prompted for the password. Note that the credential file will only be valid for a short while. If the remote person wants to get control of the pc (Demander le contrôle), then this needs to be granted. Categories: support. Tags: remote assistance, XP. To offer remote support over the Internet for users at home behind firewalls and/or NAT routers, you may use the Remote Assistance software. This ‘thin client’ software is available for Windows and MacOS in different languages on the TeamViewer download pages. 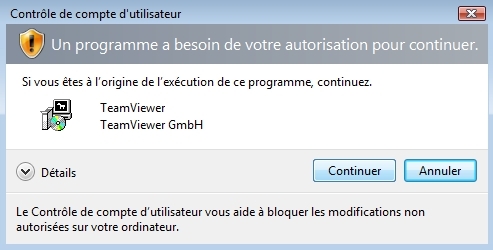 To establish a connection you will need the full version which connects to TeamViewer QuickSupport (for instant support). The ‘calling’ partner needs to run the TeamViewer (full version) client and enter the ID and Password to connect. This software is available for Windows and MacOS in different languages on the TeamViewer download pages.